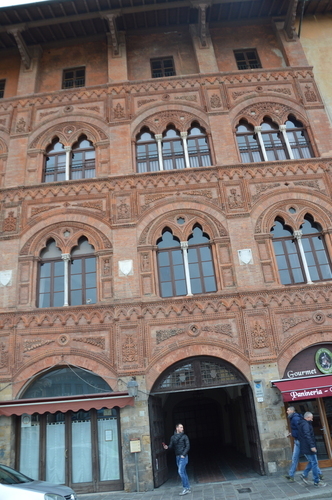 'Caffè dell'Ussero' is a coffee house built near the Arno, in Pisa (Lungarno Antonio Pacinotti, 27). 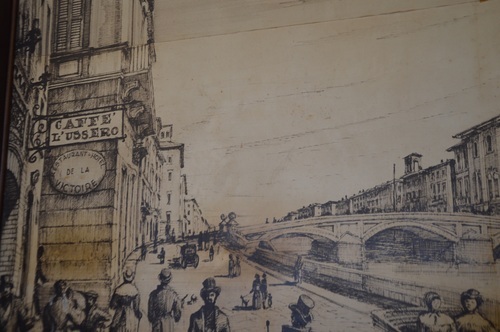 It was one of the meeting places for a lot of intellectuals, in the 19th century. It is among the first literary coffees in Italy and it was founded in 1775. 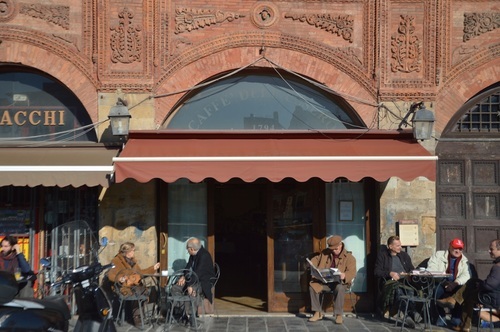 The Coffee was born to be frequented by habitual customers, intellectuals, who could converse there quietly, reading in front of a cup of coffee. 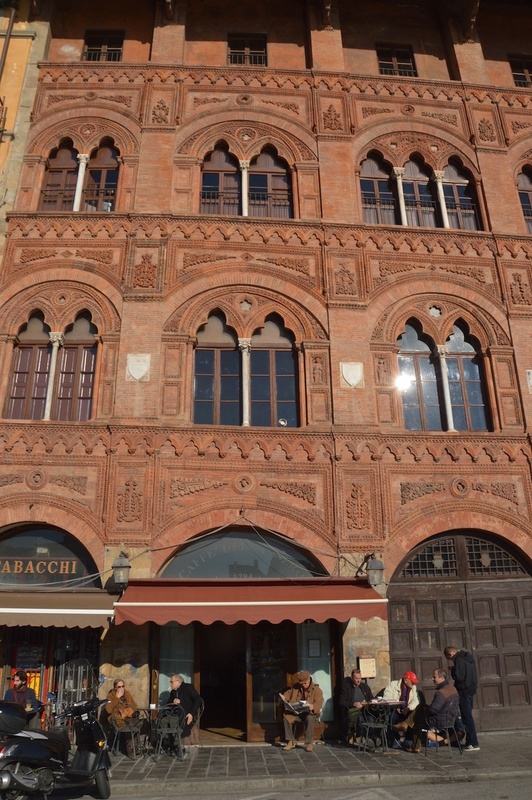 Coffee houses were mainly a meeting point and a place were people exchanged their ideas. 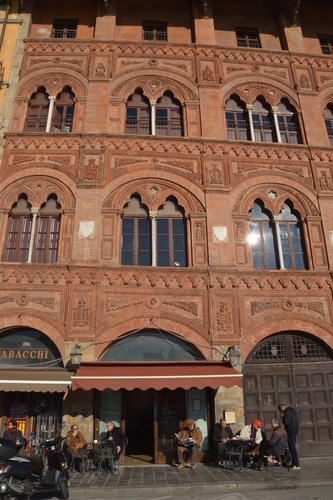 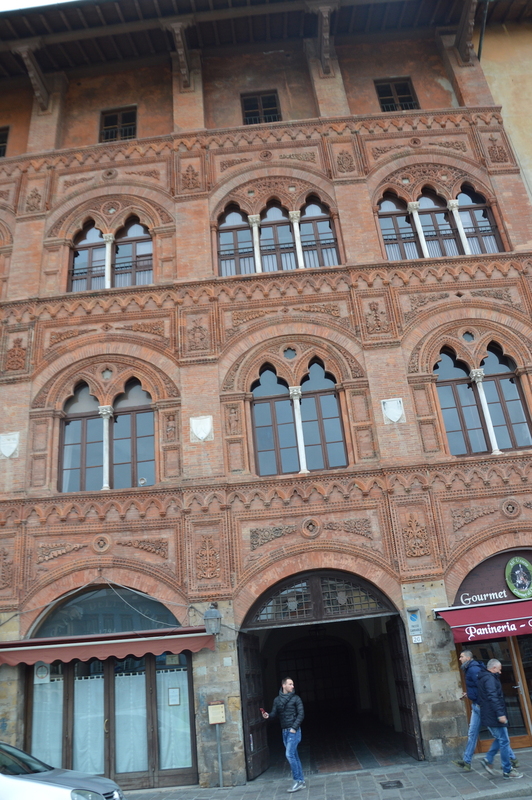 The palace belongs to the family of Pisan counts and patricians Agostini Fantini Venerosi della Seta. 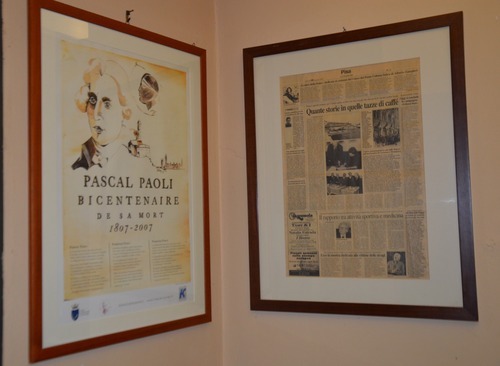 The walls of the 'Caffè' are also covered with memories and relics of his illustrious visitors, like some letters related to the Italian physician Filippo Mazzei. 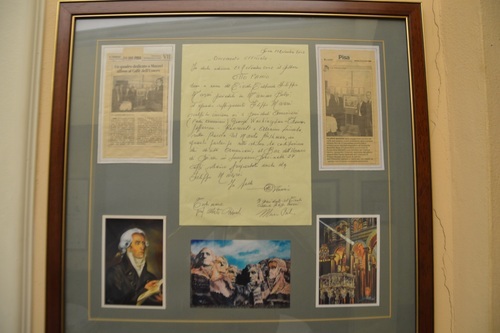 Here we can see some memorabilia related to the Italian physician Filippo Mazzei.